Multiple viewers can communicate to the VNC server at the same time. 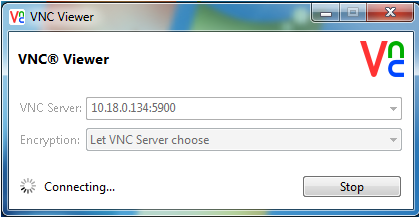 Download VNC server for WinCE 6 ant 7 devices from here or for Windows Embedded Compact 2013 devices here. For more information and license click here. Extract zip file and copy the extracted folder on WinCE device. Press OK and run winvc.exe to run the server. A small icon in green-red colour will appear on the right side of the taskbar showing server is running. Download VNC viewer provided by RealVNC for PC/Laptop from here. For more information and license click here. 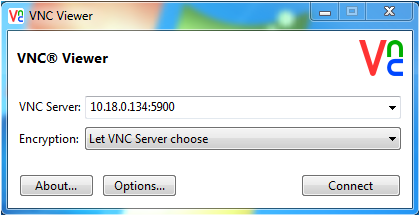 Enter the IP address of VNC server along with the port number. 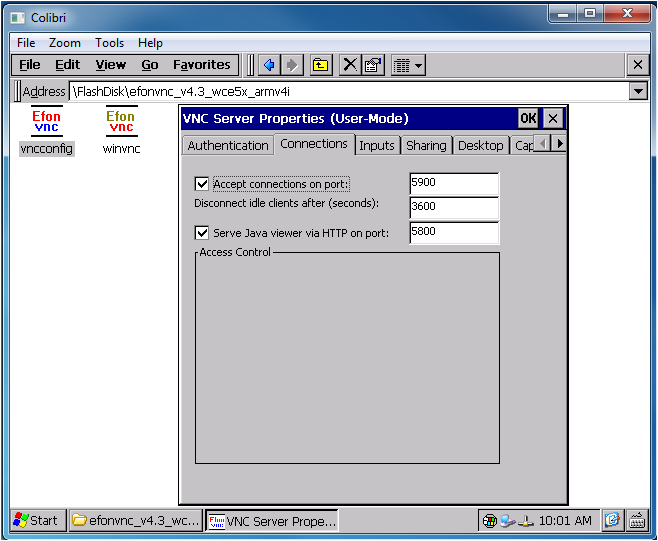 After connecting with the server, WinCE device can be controlled from the VNC viewer. The colour of the VNC server icon on WinCE taskbar will change from green-red to red-blue if atleast one viewer is connected. 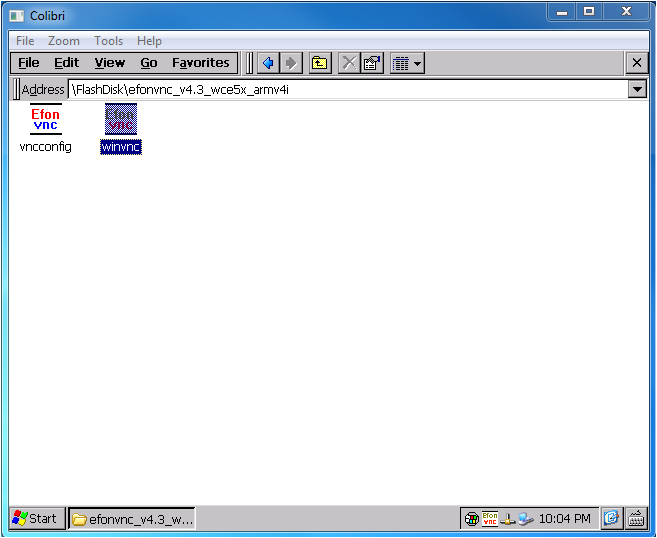 Following image shows the WinCE desktop in the VNC viewer. Note: If WinCE device is connected through a router then make sure port-forwarding is done to the router to access the VNC server globally over the Internet.